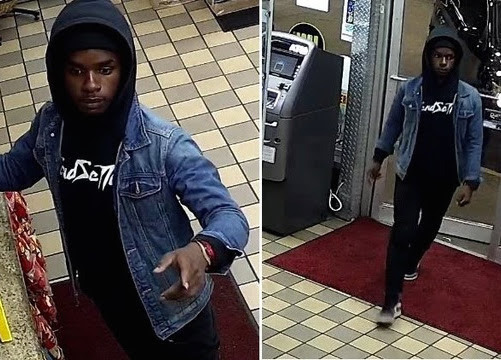 The NOPD is seeking to interview a person of interest in the investigation of an aggravated battery by shooting that occurred on Dec. 6, in the 8800 block of Jeanette Street. At about 5:40 a.m., the victim encountered a man inside of his vehicle who then fled on foot. The man then turned and fired a single shot at the victim, striking the victim in the right leg. The victim stated that the man then entered the passenger side of a dark colored sedan that was parked on Jeannette Street. The man pictured in the video screengrab is only wanted for questioning in relation to this incident and is not considered wanted at this time. Anyone with information on the above person of interest is asked to contact NOPD Second District detectives at 504-658-6020, or to call anonymously to Crimestoppers at 504-822-1111 or toll-free at 877-903-STOP. 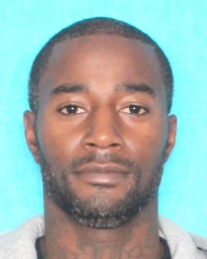 The NOPD has obtained an arrest warrant for William Hollins, 35, in connection with two business burglary incidents in the Sixth District, both reportedly occurring on Dec. 3. Through investigation, Sixth District detectives have developed Hollins as the perpetrator seen on surveillance committing burglaries in the 1900 block of St. Charles Avenue and the 1800 block of Thalia Street. When located, Hollins will be arrested for two counts of simple burglary. Anyone with information regarding these incidents or the whereabouts of William Hollins is asked to contact NOPD Sixth District detectives at 504-658-6060, or to call anonymously to Crimestoppers at 504-822-1111 or toll-free at 877-903-STOP.